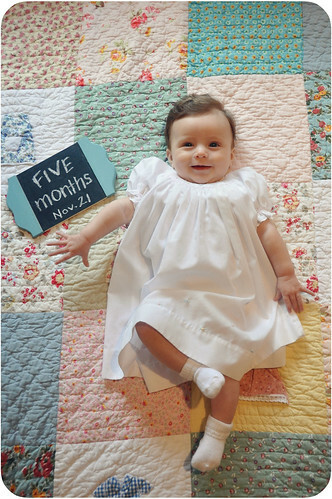 For This Child I Prayed: Ruthie girl is five months old! Aw, she's a cutie! I love that quilt you put her on too!